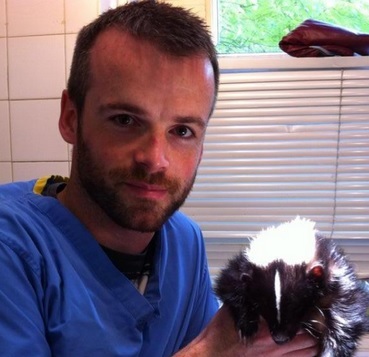 I am a Veterinary Surgeon working in a domestic and exotic pets practice in London, UK. I’m originally from Ireland and qualified from University College Dublin on the graduate entry Veterinary Medicine programme, having previously completed a Bachelor of Science degree in Animal Science at the University of Essex, UK and working for a year in the Biotechnology field. A bit of a long and convoluted education, but here I am! From a young age I have been fascinated by nature and animals, especially those that slither and crawl much to my family’s bewilderment, and at times horror! Over the years I have kept and bred many exotic pets, primarily reptiles and amphibians which are my true passion, but also many mammals, birds and invertebrates. My background in Animal Science means I gained a broad knowledge base in conservation, zoology and comparative anatomy/physiology of a wide range of species. I tailored my veterinary education in the later years to include placements at Avian and Exotics specialist vets as well as elective modules in Zoo and Wildlife Medicine at Dublin Zoo. My first job was in a domestic, exotics and zoo practice in the South of England where I gained experience with an astounding array of creatures including big cats, birds of prey, reptiles, parrots, vultures, otters, aardwolves, slow loris, primates and many more. Since then I have been working in private practice in London primarily treating dogs and cats, but also avian and exotic pets which account for about 30-40% of my caseload at present, and growing! 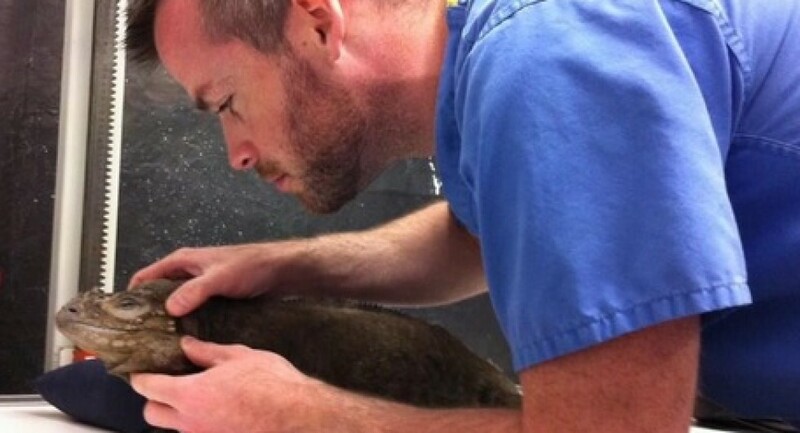 You can follow me on Twitter: @ExoticPetVet, and on Facebook: Sean McCormack MVB. Hiya Sean! How do I subscribe to your blog? There should be a subscribe option somewhere on the homepage. I can’t help your snake remotely, speak with your own vet and if you don’t agree then take it for a second opinion. If it is that unwell it needs an accurate diagnosis and targeted treatment, neither of which I can provide online. I hope things work out ok.
Hey Sean, I have a number of rather detailed questions to ask with regards to “bioactive” substrates. It would be great if you could leave me a message so I could contact you privately via email. I’m Bryan, and I would like to discuss the topic and trend of “bioactive” substrates with you. However, as the discussion will be rather detailed and hopefully extensive, I would be greatly appreciative if I could contact you via email. I’ve been looking for answers on this topic for quite some time, and it would be really great if a definitive authority like yourself could assist me. You may contact me at the email provided. I’m afraid I am very busy and Bryan and don’t have time to get into a detailed, extensive conversation via private email on the topic of Bioactive husbandry systems. There are many forums online discussing this topic which I would suggest you join. Sorry again I can’t help. Thank you, thank you for everything that you do to look after exotic pets, and for maintaining this wonderful blog! Very warm regards from Australia, and please let me know if I can somehow repay you! Well thank you, flights to and free accommodation in Australia for a few weeks would be gladly accepted. Haha, I jest, but appreciate the kind words. I’d be happy to buy you booze and a meal with our awesome local reptile vet Dr Shane Simpson https://www.facebook.com/TheReptileDoctor/ I live with an amazing 37-year-old Mary River Turtle who means the world to me, but unfortunately am just an accountant so couldn’t afford your flights 😀 Seriously though, you specialist vets are just amazing – thank you for all that you do for the wonderful reptiles and amphibians on this planet. I was just joking, don’t worry. I visited this time last year. One of my best friends lives in Melbourne so stayed there, travelled to Sydney and took a solo road trip down the Great Ocean Road for a few days. Amazing wildlife and scenery along the way. I have followed Shane on Facebook for some time, great work he does. Would be great to meet him on my next visit. Hi Sean! I need a bit of advice with my axolotls, since I know you take quite an interest in them. I’ve had my two leucistic axies since July, but I believe they’re about a bit less than a year old. Other than the fungal issue we may be having right now, we haven’t had any problems other than a horrible time when my boy swam into the vacuum and cut himself. My female axie is acting normal, eats normal, but it appears to have something on it’s middle right gill. I know people say to keep my axies in a 40 gallon tank, but my two, full-grown axies seem to be doing good in their 30-gallon. I change my water 10-15% every 3-4 days, but my water parameters are perfect almost all of the time. The temperature is usually at about 68 degrees. It looks a bit cottony, but has some brown dots on it. I’m not sure if it’s just her brother biting at the gills and tearing them up, or if it’s fungus. Please help!!! If it’s fungus, should I do a black tea or salt bath. I’ve heard that the tea is less stressful, but I’ll do whatever is best for my axie:( Thank You! As you’ll see from my late response, this isn’t the correct place to seek veterinary advice for an ill animal. Your local vet clinic, preferably with an exotics vet, is that place. I can’t consult from photographs and owner descriptions online, as it’s irresponsible of me, arguably illegal and sometimes ineffective which could damage my professional reputation. Free advice online is all well and good until it’s incorrect and then turns into being badmouthed online. Not to mention I get a lot of these requests and don’t have time to look at most of them. I hope you can understand and that your axies are now doing better.